Large Antique French Brilliant Cut Crystal Casket with Fine Mounts. 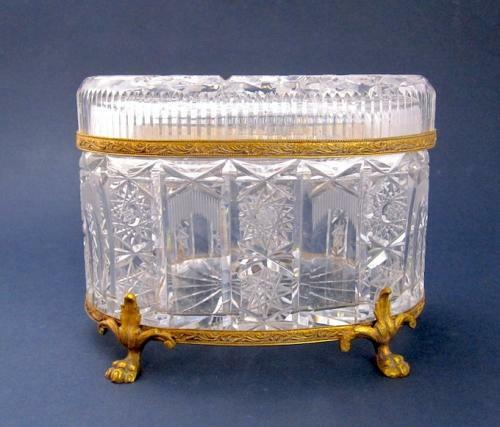 Highly Cut Crystal Casket & Lid with 4 Dore Bronze Feet . Large Size. Brilliant Cut Glass.